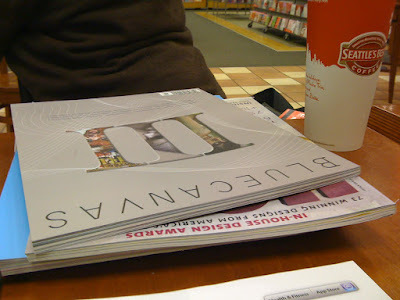 From our date night to Borders... a tale of his and hers. This is such a true portrait of how different we can be. Michael is so soak it in, take it easy, absorb every morsel of information. I am like a skimming, speed reading, surface scratching machine. 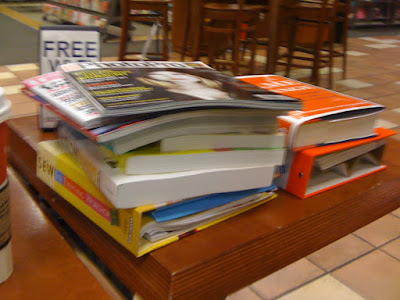 Just look at the reading material we piled up. Haha! !